Are your check engine light flashing on your dashboard and the engine’s power feels reduced? Then you might have a boost leak which has resulted in a limp mode situation. In this article, you will get all the information on how to detect and repair a boost leak and finally get your car’s full performance back. Let’s begin! A boost leak is a type of air leak that happens in the intake path just before the engine cylinders. It is basically a loose clamp that cannot handle the pressure from the boost. Engines that have turbo are more prone to a boost/intake leak as compared to non-turbo engines, because of the added numbers of pipes and hoses joining the turbo with the engine equipment and the pressure that a turbo gives. 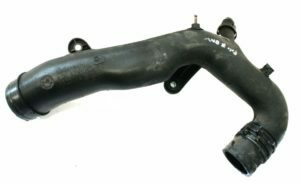 These hoses and pipes are directly exposed to the heat inside an engine bay, which can cause cracks in them and lead to leaks. Sometimes, leaks in a pipe can happen due to a loose engine mount, which can twist a pipe simply with torque. Although, loss of power is not harmful – except if you are in a race – it can become harmful if neglected for a long time. Ignoring a boost leak will eventually reduce your turbo’s life and in turn the car engine’s life. Understanding the workings of a turbo is easy as there are two components at work fuel and air. The car’s engine works on a mixture of fuel and air. The ECU determines the ratio of fuel to air, however, if there is leakage of air along the way, the ratio is incorrectly calculated causing your car’s turbo to work harder than usual. Diesel engines are accommodating in this regard as they are more tolerant of a high fuel to air ratio. However, petrol engines are sensitive, therefore a boost leak inspection is necessary for your car’s optimal performance. Here you can see a chart of all possible symptoms, causes, and solutions for a boost leak. To get a detailed idea of a boost leak to read the article below. 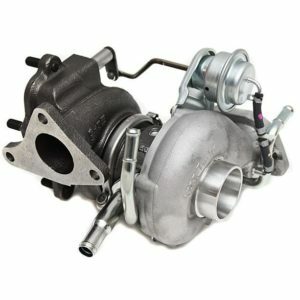 In this article, we will go through the symptoms of a boost leak and how to solve them for an efficient running turbo. The turbo works by increasing the amount of air and fuel that can be fit into a cylinder. Thus, increasing horsepower and performance. However, before the turbo ‘kicks in’ it’s turbine needs to spin very fast, until that happens the turbo does not play a role in boosting the car. This time, usually called the turbo lag, is when the turbo spools air and fuel to send into the cylinder. If this process is slower than usual, you are experiencing boost leak. The concept is simple, due to a leak it takes more time for a turbo to spin at maximum capacity. While you are accelerating, the turbo is giving a boost to the engine motivating it to perform faster and better. If there is a boost leak you will feel a sudden loss of power during acceleration. If you have a boost leak on your car, you will most likely get a flashing check engine light on your dashboard. If your check engine light is flashing, the best way is to read the trouble codes with an OBD Scanner. This only holds true if you have a car with a mass air flow sensor or MAS/MAF. The MAF senses the amount of air leaving the turbo and entering the engine. If there is a boost leak – which usually happens in the MAF area – your car will have problems idling perfectly. It might stall, close down as a result of the leak. Your engine tuning will go awry as soon as you have a boost leak. Therefore, any inconsistent sound in your engine is basically due to a boost leak. The inconsistent working of a turbo will disturb the process inside the engine cylinders. More than the usual amount of fuel will be used and you will see more than usual smoke coming out of your exhaust. This might not be distinguishable very easily but if you keep an eye on your car’s average fuel consumption you will catch a boost leak easily. If the car is consuming more fuel than it should, you have a problem. A boost leak test can prove to be helpful in such situations. Here is a video of how you should do to find a boost leak. However, you need an air compressor to make this possible. You can of course also use an EVAP smoke machine to make this job even efficiently. A boost leak is very easily fixed but first, you need to know what to look at and how to solve the problem. A boost leak can happen where there are clamps, so it is natural to look for leaks in all the couplers and clamps connecting the turbo to the engine. Maybe a clamp was not properly tightened or it was left loose after you made the previous modification to your turbocharger. This is a rookie mistake, which is acceptable if you work on your car yourself, otherwise, a mechanic that made this mistake should be replaced. To start with your inspection first take a look at the compressor housing, move towards the vacuum lines next to and work your way to the wastegate controller. Check all the clamps on the way and ensure they are tight an in place and also check for any scratches or cuts the housing. Still couldn’t find out anything? No worries, some brilliant minds have invented a device called the boost leak tester. This device does exactly what it is supposed to, it tests leaks for you, so you don’t have to. This is a great tool for anybody who is not experienced in car work and also for those of you who don’t want to spend money taking their car to the nearest mechanical workshop. Therefore, if you can afford one, you can save some precious time. Using a boost leak tester, you don’t need to start up the car or need to charge up the turbo. In fact, the machine does all the work by itself by pressurizing the system just like a turbo spool. All you need to do is remove the turbo inlet an attach the tester in its place. On the other hand, attach an air compressor to the system and watch the machine build pressure. Now, simply listen for air leakages and mark them. and make sure it fit your pipes. The only thing you need for this tool is compressed air. You can also use an EVAP smoke machine to find any boost leaks easy. Once you have found the leak it is time to patch it up. As we have learned from the information above, leaks are usually found in untightened clamps or couplers. Start off by tightening them up and then checking again until you find all the leakages. If you do need help hire a mechanic but the thing about mechanics is they charge quite a high price for such easy work. Keep in mind a bill of about $100 give or take if it’s the mechanic you are going for. Hi i wonder if you can help. I own fiat bravo 1.9 multi jet diesel 2007 model clocking at 95k. I recently started hearing hissing noise from engine. I had local garage man looked at it mentioned turbo inlet hose split but he don’t have parts available immediately. The problem is I have flight to catch in 2 days and I will be struggling with public transport to reach on time. It’s 60 miles one way and will take 90 minutes roughly. Am I still okay to drive? I guess you have already made the trip. However if it’s a minor leak you can drive it carefully without boost. If the turbo pipe is leaking and you are pushing the turbo fully, you can overrev it and damage the turbocharger/supercharger.